Taking of Forklift Training in Rockingham, WA: Get Your Ticket Today! - Be Certified Today! Getting trained is a better way of improving your chance to get forklift job and improving your career. Obtaining a forklift licence in Rockingham is the quickest approach to get into the logistics or warehousing industry to work as forklift operator. Now before you delve into this career, it is important for you to know what kind of licence you need to apply for and the kind of forklift driver training course you need to enrolled in. Training course should be delivered by an registered training organization. We’ve also listed down the RTOs in Rockingham where you can get training from. Decide what forklift licence you need. Choose the one you need for your job. It is important to know what licence you need. There are two classes, LF and LO licences. The difference between these two is the type of fork truck you can legally operate. There is this difference because each type of fork truck is driven and operated differently from each other. See below for more details. Take the forklift training. The training should be specific to class of licence and forklift you are intending operate. You can take the training conducted by a Registered Training Organization (RTO). List of TROs is listed below for your reference. Attend the classroom lecture and practical training. These are two components of the course. Attending these two parts will take about a day or a day and half to complete. Make an assessment schedule. The assessment is to be conducted by Worksafe assessor after completing the course. Lodging of High Risk Work Licence. At the end of the training and assessment, your RTO or training will help you how to lodge your application for photographic HRW licence. These documents will be required when lodging application of High Risk Work Licence in WorkSafe. The requirements and application for HRW licence should be submitted 60 days of the date indicated in the notice of assessment. 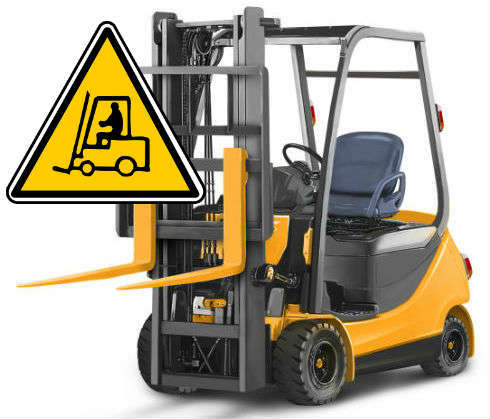 Forklift driving is considered as high risk work in Australia. In order for you to get high risk work licence, you are required to take part in registered training organization (RTO) forklift training course. Here are some of the RTOs you can find in Rockingham. Upon completion of training from any of these RTOs, the trainer or assessor will instruct you about how to apply for high risk work licence and to submit the requirements to WorkSafe. LF Licence – This licence is issued to those operators who are operating forklift trucks with a mast and elevating load carriage to which is attached a pair of forks or other attachment. This type of truck is usually referred to as the counterbalance forklift. LO Licence – Also called load-shifting order picker truck licence. This is issued to operators who are operating order picker and very narrow aisle (VNA) truck. This type of truck is described as with operational controls that are incorporated with the load carriage and the operator elevates together with it. Such example of is turret truck. You cannot operate a forklift truck classified as LO if you have an LF licence, and vice versa. Both of these licene is highly required when seeking employment in this field of material handling. Having one of both of these licences can definitely bolster your chance of landing a high paying forklift job. You must be 18 years old and above. You cannot be trained if you are below the minimum age. You can communicate well in English. The instruction is in English, therefore, you must know to understand English. Understanding English is also crucial during employment, you cannot work if do not know English. You must have 100 points of identification. Your HRW licence application cannot be accepted if your identification is insufficient. You must have USI number – All students who are seeking nationally recognized training are now required to have USI number. Do I Need USI Number to Take ForkliftTraining? According to Glassdoor, the average salary for a Forklift Operator is $58,190 who is working in WA. Experience and skills play a vital role when demanding for higher salary. If an operator can demonstrate maturity towards his job, he could be promoted for a more mature role that will dictate higher wage. Generally, the requirements for an individual who is seeking employment as forklift operator are physically strong, can communicate in English in reading and writing, good in numerical skills, can work long hours. You can expect better employment opportunities if you have forklift licence in possession. Acquiring it only cost you little time and some of money but the advantage is huge! You can easily land a high paying job in logistics or in warehousing industry in Rockingham.